Nothing is more powerful against the causes and symptoms of religious extremism than interfaith dialogue. People talk about making peace between the religions. Now here’s a book that shows you step-by-step how to engage people of other faiths in dialogue, and how to undertake projects -- in your community. What the World Needs to Know about Interfaith Dialogue shows you how to counter those who use religion to divide. You'll come away with knowledge of the diplomatic tools required to start and conduct successful interfaith or inter-denominational dialogue. It will help you to build bridges of understanding, resolve conflicts, and identify problems before they develop. 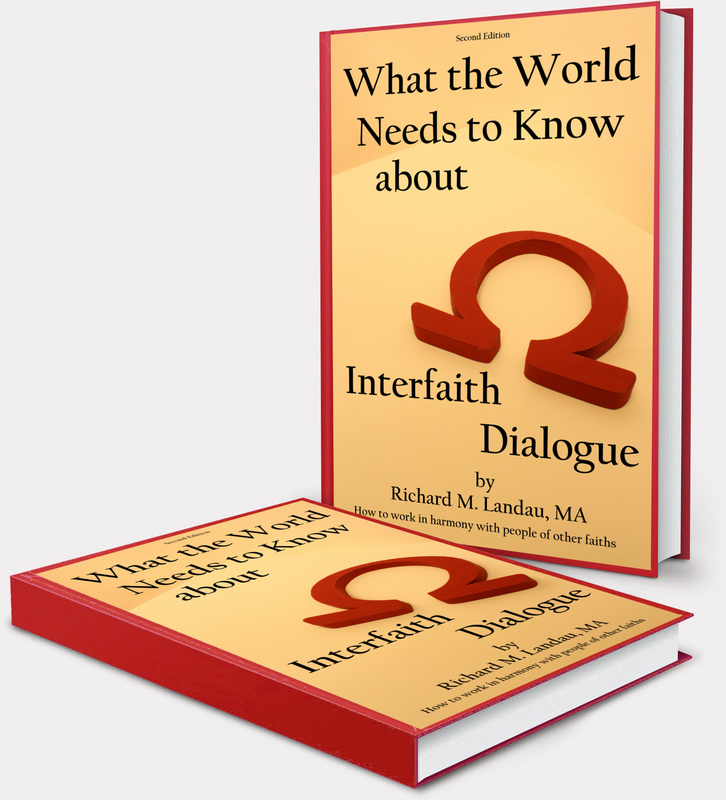 What the World Needs to Know about Interfaith Dialogue covers a range of practical and philosophical issues supplemented by anecdotal information. There are some books written about dialogue from ivory tower thinkers who don't participate in dialogue – and other written from a single-faith point of view. It's tried and tested in real down-to-earth interfaith dialogue. 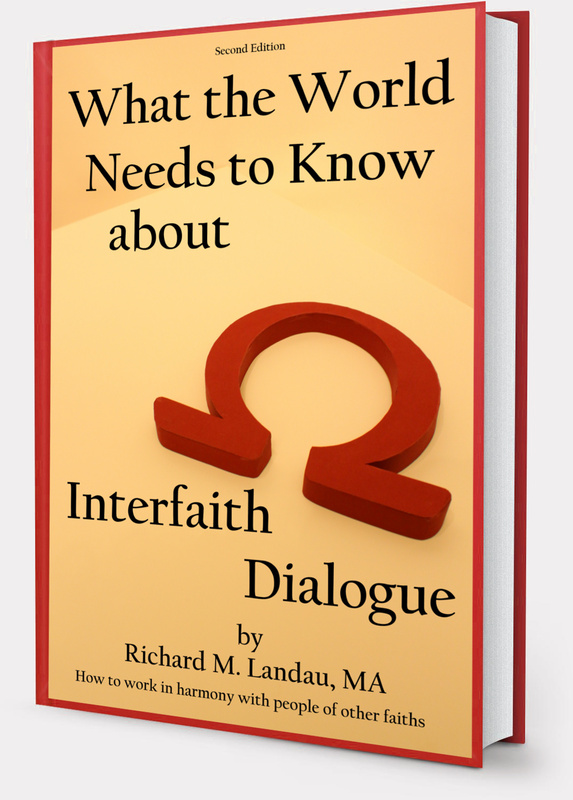 Richard M. Landau wrote the book because there is no other book that explains the how-to's of interfaith dialogue. What the World Needs to Know about Interfaith Dialogue proposes an exclusive technique: the 'willing suspension of belief'. It works. So, for example, if a devout Jew is meeting with a pious Muslim, the technique shows how you build genuine bridges of understanding and unity between them. Traditionally interfaith dialogue groups have been hard to set up, difficult to sustain, and dogged by religious and personality conflicts. Frequently they do little more than spend hundreds of hours simply talking. But your group can accomplish much, much more -- if you follow the basic ground rules outlined in What the World Needs to Know about Interfaith Dialogue. Nothing defeats extremism like thoughtful and kind dialogue that recognizes that we have our differences – so then, how are we going to get along? What the World Needs to Know about Interfaith Dialogue ... is a critical tool to help you work in harmony with people of other faiths. It's an entertaining, fast-paced reference text supplemented with additional useful anecdotal information. It touches on virtually every situation and challenge you'll encounter in interfaith dialogue. Over 70,000-words, it's an exhaustive sourcebook and a manual of diplomacy and tact. Deal with two faith communities that will not participate...unless the other is rejected? Respond when genuine undesirables --like a "Church" that believes in racial supremacy -- want to join your group? We tried what you recommended and our group is going from strength to strength. This ebook should be required reading for everyone in my religious community. Wow! This book has everything in it. I’ve just begun a dialogue with a Muslim. Your book gave me the confidence to do it. We’ve ordered copies of your book for everyone on our interfaith steering committee. It is absolutely essential. Thanks for the headstart! Because of 9/11 our church has decided to participate in dialogue. Your ebook has helped us tremendously. Where has this book been all my life! Every chapter contributed to my understanding of what it means to work with others in harmony. . . . it’s an excellent value. For over 35 years Richard M. Landau, chaired and participated in interfaith dialogue groups throughout North America. He works with all of the world religions every day -- and he has studied their holy texts and histories. As Executive Producer of a dozen faith-related TV series and host of a multiple award-winning weekly interfaith TV program, Landau earned over 40 awards for programs that bring together all of the world religions. Over the years, Landau has assisted in the resolution of inter-religious conflicts and has been a widely quoted authority.